The sudden rise in bond yields that sent Wall Street into a tailspin is also pushing mortgage rates higher and making it more expensive to purchase a home. Mortgage rates are closely tied to the yield on the 30-year Treasury note, and housing economists say mortgage rates could be headed toward five percent, a rate not seen since the collapse of the housing bubble a decade ago. Bankrate reports the average rate on a 30-year fixed-rate mortgage this week is 4.31 percent, a tiny increase from the week before. For every $100,000 borrowed, it adds just 59 cents to the monthly payment. However, the average rate is up sharply from the 3.96 percent of a month ago. Housing economists worry that if rates continue to rise, it will make current affordability issues even worse. Who's afraid of five percent? 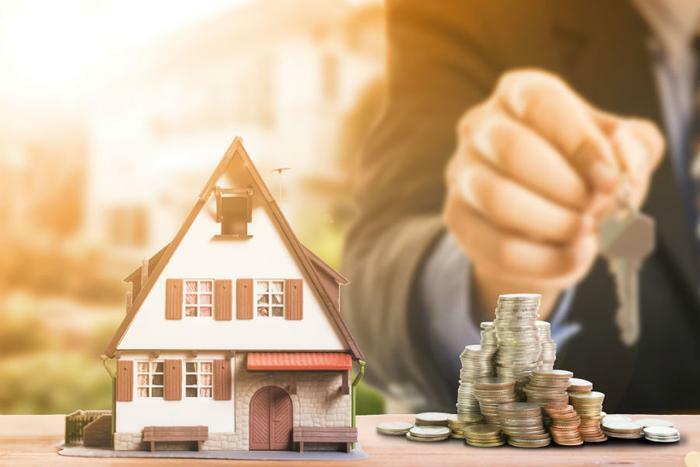 A new survey by real estate marketplace Redfin suggests rising rates won't chase away that many prospective buyers, even if mortgage rates breach the five percent level. Only six percent of prospective buyers said they would abandon their plans if the interest rate on their loan exceeded five percent. However, 27 percent said a five percent rate might cause them to delay their plans. In fact, there are already plenty of home shoppers in the marketplace for the declining number of homes for sale. Low inventories have caused a slowing in home sales in some markets while helping to push up prices. "Tight credit, lack of inventory and high demand are the major factors that tell us there's no housing bubble, despite rapid price increases," said Redfin Chief Economist Nela Richardson. "There are still many more buyers than the current housing supply can support, with no major relief in sight." Richardson points out that strict lending regulations make it much harder to buy a house you can't afford and that even at five percent, mortgage rates would be considered low by historical standards. Lawrence Yun, chief economist at the National Association of Realtors (NAR), says a shortage of available homes on the market is a bigger issue than rising rates, at least at this point. Put simply, competition for a dwindling number of available homes is pushing up prices. “A tug-of-war continues to take place in many markets throughout the country, where consistently solid job creation is fueling demand, but the lack of supply is creating affordability constraints that are ultimately pulling aspiring buyers further away from owning,” he said. Yun says the problem is most severe in the entry-level home market, which is why the overall share of first-time buyers remains well below where it normally would be.